Taiwan based Alice Chen started a Facebook fanpage in 2012 to share tips from her personal experience losing weight and staying fit. It has since grown to a sizable community on Facebook. Owing to the growing community, Alice launched a content and e-commerce site iFit. The company received its first round funding of about $900K USD from Cherubic Ventures. “This is the opportunity of a lifetime, we will use this chance to go big and global,” says iFit founder Alice Chen. Initially iFit e-commerce venture using the group-buy model, where most of the products were made by other companies. As their members grow , they started to develop their own products. Currently almost half of the products you see on their website are developed by iFit. And their plan is to continue to develop their own products so the percentage of iFit-brand products in their overall offering will continue to rise. The recent funding will be used to develop new products and expand into international markets starting with Malaysia. More resources will be allocated to developing new fitness products, including healthy snacks / drinks, and smart fitness devices that can record users’ health stats such as calorie intake, body fat percentage etc. iFit has two offerings : content and fitness products. iFit has a team of 10 editors, designers and illustrators who create content related to fitness and healthy ways to lose weight on a daily basis. Their Facebook fanpage is the key marketing channel. iFit develops its own brand of health snacks and fitness devices. All product ideas / designs are based on its members’ suggestions. Sales revenue of fitness products for 2013 was about 2 million USD, and estimated revenue for 2014 is 3.3 millions USD. iFit plans to work with hardware manufactures to develop smart fitness devices that can track users’ health stats such as calorie intake, weight, body fat percentage, heart rate. iFit also plans to develop software that can store and analyze these user data, helping users track their fitness progress overtime. 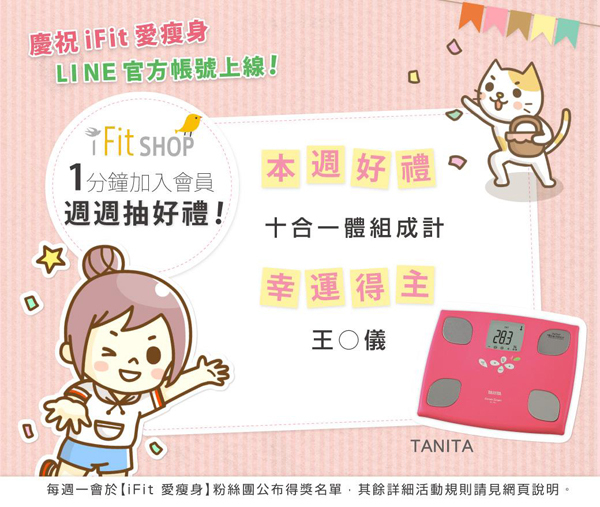 iFit doesn’t have a big following in mainland China as the company’s key marketing channel is Facebook. For now the company’s expansion strategy is to expand to South East Asia. The team will not expand to mainland China immediately. However when they do, they would explore leveraging WeChat or other popular social media platforms, shared the team. iFit plans to expand to Malaysia by end of 2014. The company sees South East Asia as a good starting point as they already have 20000+ members from Malaysia. After researching the local Malaysian market, iFit believes that its home exercises products will be popular in the Malaysian market. There is also a demand for healthy, low-calorie snacks for women, which means a huge market opportunity for iFit’s own brand of low-calories healthy drinks and snacks. Initially iFit will target the Chinese speaking community in Malaysia. Indonesia is the next market they plan to expand to after Malaysia. They also have plans to target the Malay speaking market in South East Asia. One of the reasons iFit has been able to build a highly engaged community is through the power of “social fitness”. Women enjoy exercising ‘together’, physically and virtually. iFit will continue to grow its community through not just online but offline events that enable members to interact with one another. iFit will also incorporate the element of gamification to encourage members to compete against each other to achieve their fitness goals and increase the ‘stickiness’ of the iFit community.